Discussion in 'WW2 Forums/Forces Postal Service' started by Otto, Sep 27, 2017. 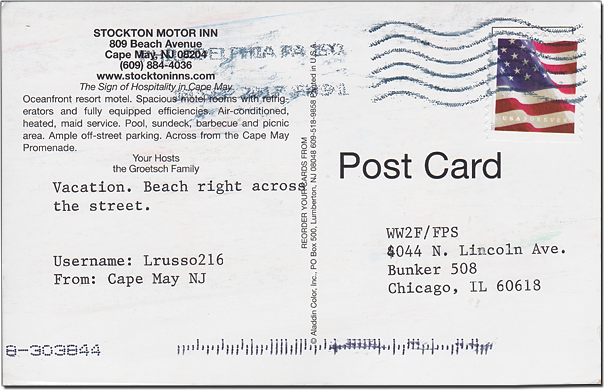 LRusso216 sends in his second field report from the Stockton Motor Inn which sits on the mouth of Delaware Bay and faces the open Atlantic ocean. Thanks to this submission we can now add New Jersey to our growing list of US states. Cheers Lou! TD-Tommy776 and The_Historian like this. Lou: I have to ask, did you use the typewriter on that postcard? He did. He used a typewriter on his previous submission also. I like it, it kind of gives it an old school telegram feel. That's a yes. Since my stroke six plus years ago, I have a bit of difficulty writing more than my name. I use the typewriter at the library I used to work in. Frustrating, but it's the best I can do. That looks like a nice place, Lou. I also like the look of the old school typewriter. You can tell that it's a typewriter because there is no kerning of the letters. That looks like a nice place, Lou. It is Tommy. We've been there numerous times. We love Cape May. We rent a house there for the family for two weeks in the summer and spend a lot of time there in various motels at other times (just the two of us). Thanks Jeff. I do my best. I'm probably at 90% of what I was. Being 70 doesn't help. Cape May is our favorite beach town. 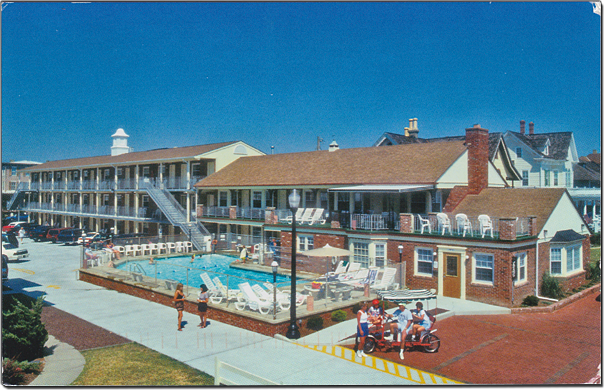 We stayed at the Montreal Inn on Beach Avenue for at least 20 years, but now since we moved to Central Pennsylvania it is easier for us to go to Ocean City, Maryland. But you can’t beat Cape May for that Victorian charm. Nice shops in town too. ''Courier New'' is the nearest we can get on here to looking like a typewriter . Maybe you should do all your posts in it Lou. Hmm. Sounds like an idea. Otto and Owen like this.